Ad Stars has confirmed that Melvin Mangada of TBWA/Santiago Mangada Puno in the Philippines and Jureeporn Thaidumrong of GREYnJ United in Thailand will join the Ad Stars 2019 Awards show as executive judges. In a career that spans 30 years, Thaidumrong has risen to become one of the biggest stars in Thai advertising ever since she steered Results/O&M to win Thailand’s first-ever Cannes Gold Lion in 2000. She was recently named “2018 Southeast Asia Creative Person of the Year” by Campaign Asia and ranked #1 in Campaign Brief’s Asia Creative Director of the Year 2018 poll. In addition, she has been inducted into the Hall of Fame by the Bangkok Art Directors Association and is behind some of Thailand’s best-loved campaigns, from Smooth-E’s ‘Love Story’ to KasikornBank’s ‘Friendshit’, which was a big winner at Ad Stars 2018. Thaidumrong will lead the judging panel in Diverse Insights, Outdoor, Public Service Announcements, Place Brand, Radio & Audio categories. Melvin Mangada is no stranger to winning accolades, and he’s one of the most influential figures in the Philippine advertising industry. Maintaining a keen eye for innovation, while placing great weight on the power of creativity, Mangada has revolutionised the structure of TBWA/SMP and bucked some of the industry’s organisational norms in doing so. The agency is known for its collective philosophy and ability to break down barriers where everyone – regardless of their job title – is empowered to think creatively. Mangada is also committed to mentoring the next generation of creatives, setting up the TBWA/academy and the TBWA/talent fund to support creative students. Says Magada: “I am really looking forward to judging the 12th Ad Stars Awards. Not only will it be a chance to see the world’s best creative work but I’m curious to experience a global show that is based in North Asia – a region that’s leading the world when it comes to technology and innovation. Mangada will lead the Design and Print jury at Ad Stars 2019. TBWASantiago Mangada Puno was the most awarded Philippine agency at Ad Stars 2018 for the second year running. It won a Film Grand Prix for its viral video ‘Disgusting Stories’ (Bahay Tuluyan), two Golds, one Silver, two Bronzes, and two Crystals. 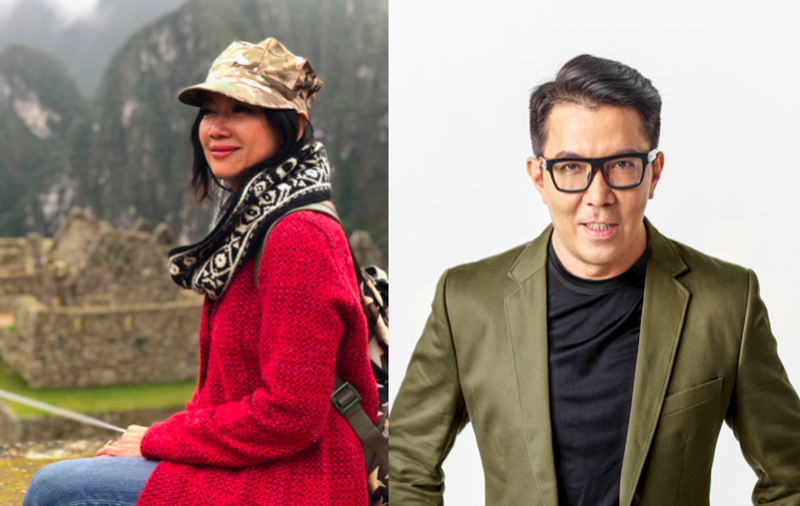 Mangada and Thaidumrong join Dentsu Asia Pacific’s Ted Lim and Joanna Monteiro, FCB Brazil, who have already been announced as Ad Stars 2019 executive judges. Established in 2008, Ad Stars received over 20,300 entries last year, cementing its status as one of the world’s biggest international advertising festivals – and one of the only not-for-profit global festivals to accept entries free-of-charge. To enter the 12th Ad Stars Awards, simply upload your work via www.adstars.org before May 15th 2019. It’s free to enter all Ad Stars categories excluding the Innovation and Integrated categories, which cost KRW100,000 (US$90) per entry. Ad Stars 2019 takes place at the Busan Exhibition and Convention Centre (Bexco), South Korea from August 22nd to 24th 2019. For more information, visit www.adstars.org.